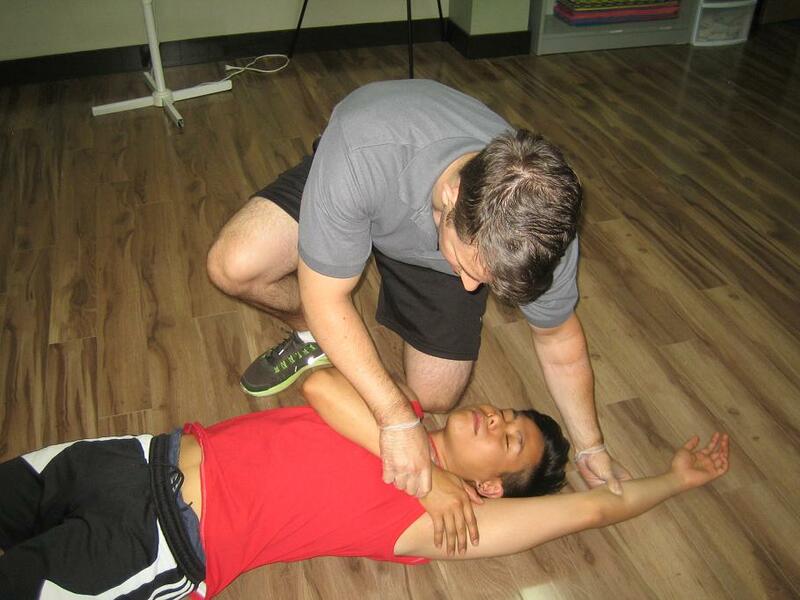 Right in the commercial district of Portland, Oregon is the best training provider in the city – Portland CPR. Portland CPR is one of the top-tier training service providers who have quality training classes offered at the cheapest possible rates. There are a total of eight training courses at Portland CPR, five training programs and three re-certification classes. All of these courses are taught by trainers who are certified by the American Heart Association so students receive the best possible training. Depending on the credentials you need, you can sign up for either basic or advanced life support classes. There are three basic life support classes and two advanced life support classes. One of the BLS classes and both ALS classes have re-certification available. Putting a victim into the recovery position once he or she is stable. Basic Life Support classes teach trainees how to give CPR to stabilize a victim before the arrival of medical help (emergency medical services – EMS). Stabilizing a victim using CPR involves the use of 30 chest compressions followed by 2 rescue breaths per cycle, until spontaneous beating of the heart and normal respiration is restored. The BLS programs are short and skill-focused on basic CPR, first aid, and defibrillation. Heartsaver CPR is a basic program that runs for 4 hours (for the public) or 4.5 hours (for healthcare providers). This basic program teaches trainees how to give compressions, rescue breaths, and defibrillation to a victim. Basic first aid for typical emergencies are also included in the program. The general public class has optional certification, meaning students can opt out of getting certified by not taking the skills test at the end of training. Basic Life Support is an HCP program that is also 4.5 hours long. It teaches one and two-person CPR, first aid, and AED. This program also includes the 2010 guidelines from the AHA. Re-certification is available for this program that runs for 4 hours. Students need to have a valid Basic Life Support for HCPs training credential to qualify for Advanced Life Support training. This is because ALS does not focus on basic skill training anymore, though the basic skills are still covered in the introduction of the topics. ALS involves the management of a victim of cardiac arrest once he has been stabilized after compressions, rescue breaths, and defibrillation. ALS involves the use of diagnostics, equipment, and medication to further get the victim stabilized. Trainees are taught about ECG readings, medication used during a code, and equipment like oxygen support devices and ET tubes. Advanced Cardiac Life Support (ALS) is 16 hours long, spread out over two days. ACLS is about the management of adult victims. Re-certification is five to six hours. Pediatric Advanced Life Support (PALS) is 14 hours long, also over two days. PALS is about the management of pediatric victims. Re-certification is six to eight hours. Pediatric victims are those younger than 18 years old. Trainees learn how to give CPR to infants and younger children. Training credentials are given once a student passes the certification exam at the end of training. The certification exam is a practical and written test, aside from the general public program whose certification exam is a skills test. Credentials are valid for two years only.